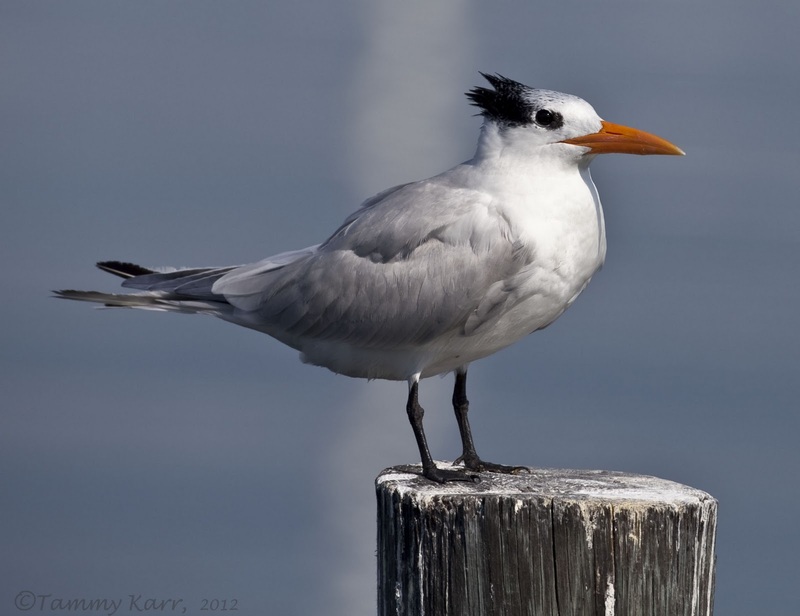 Royal Terns are large terns with orange, carrot shaped bills that are found along the coasts of Florida. 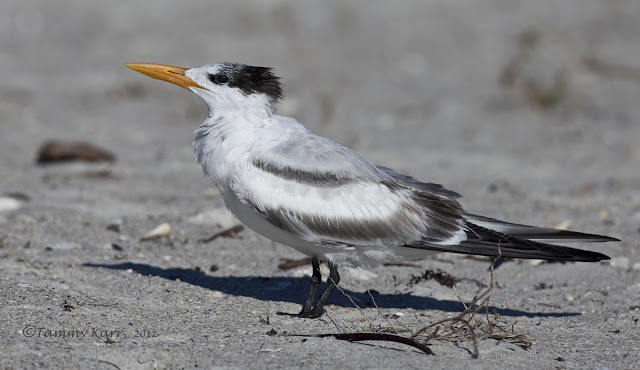 I found this Royal Tern along the shore of the Indian River in central Florida. I see them here regularly, usually hanging out with some Laughing Gulls, Ring-billed Gulls, and occasionally some Forster's Terns. 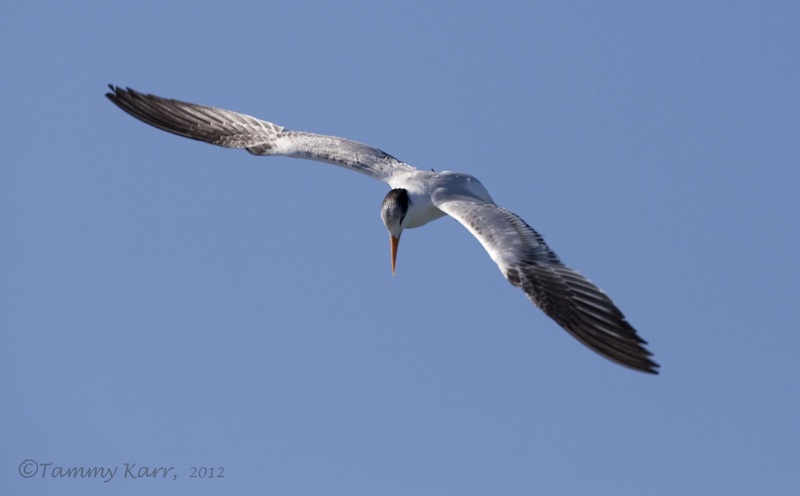 I took a trip to Sebastian Inlet last weekend, hoping to see some Black Skimmers. While I didn't find the skimmers there that day, I did see numerous Royal Terns. 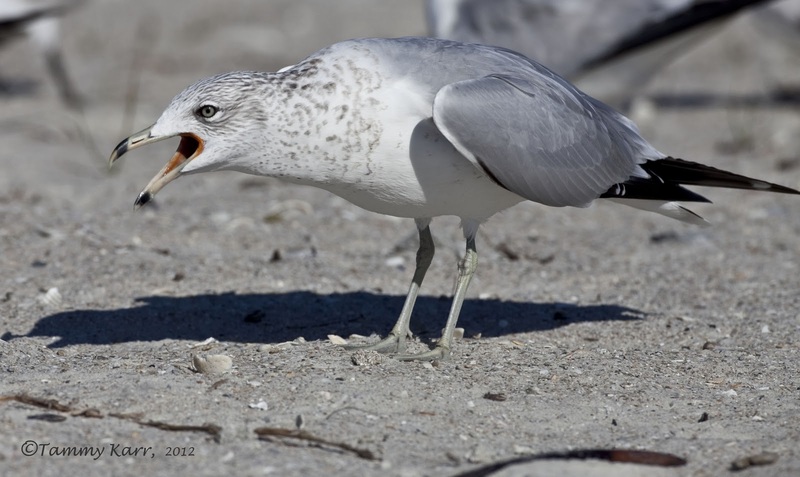 There was a large flock on the north side of the park, most of which were catching some R & R on the beach. 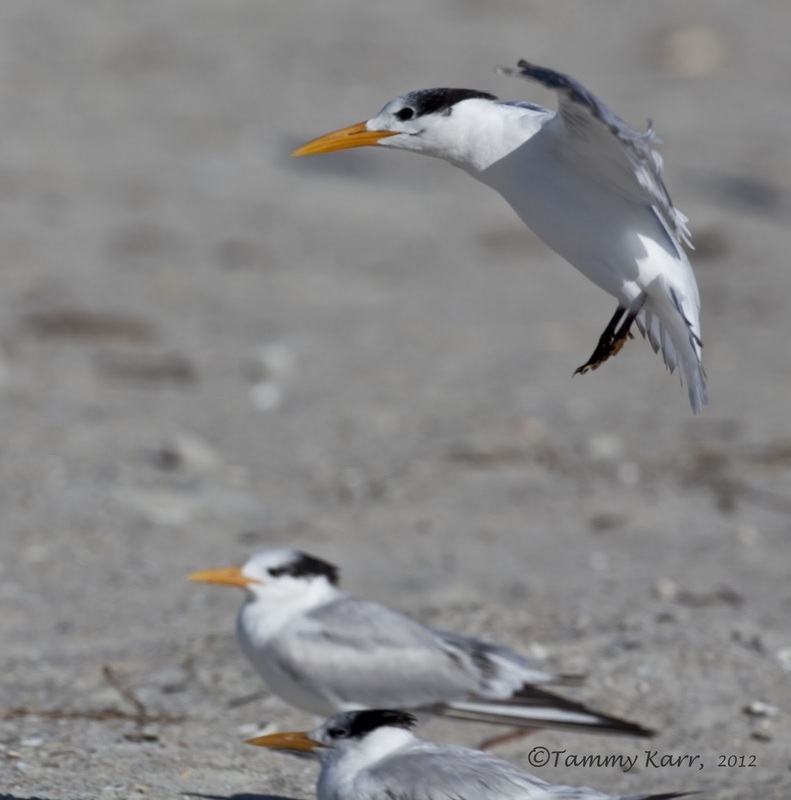 On the south side, I was able to watch several Royal Terns in action, diving for a meal in the inlet. Like alot of birds, I find them fascinating to watch. 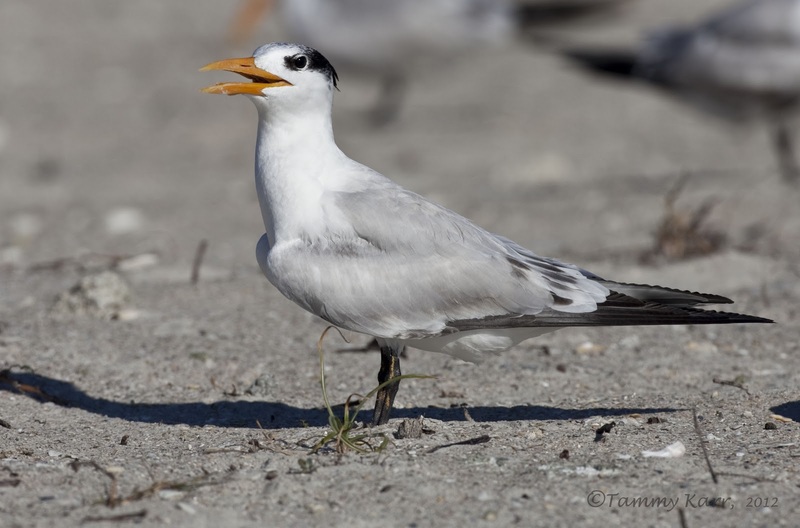 This tern was conversing with a nearby Ring-billed Gull. 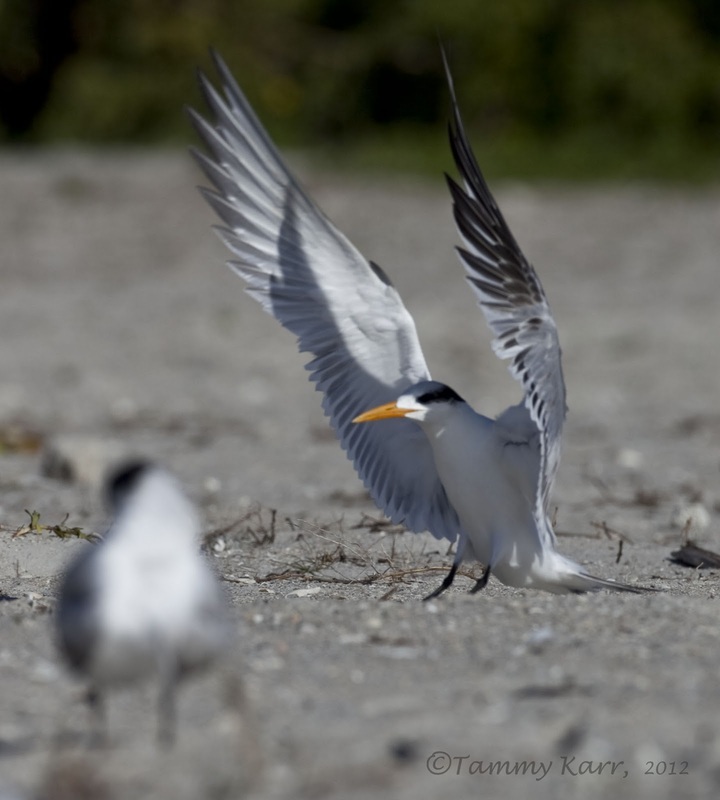 Numerous terns joined the flock while I was observing the birds on the beach. They have quite an impressive wingspan. 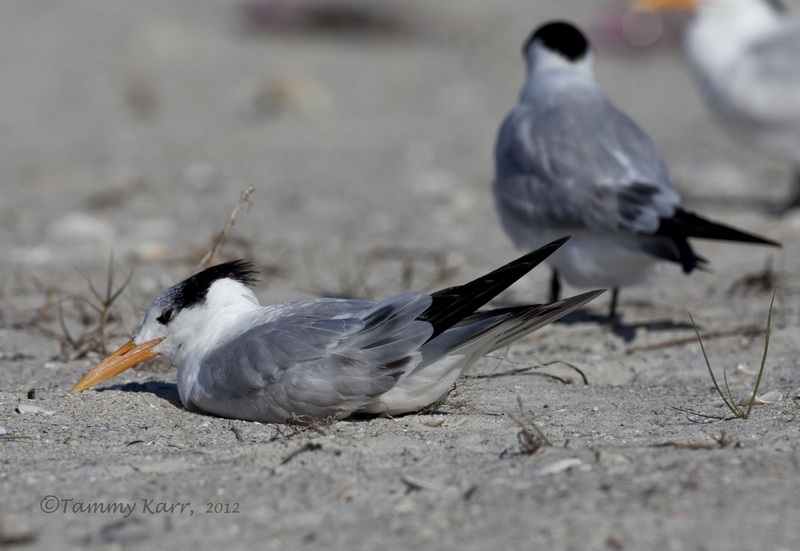 Terns forge both on their own as well as in a group. 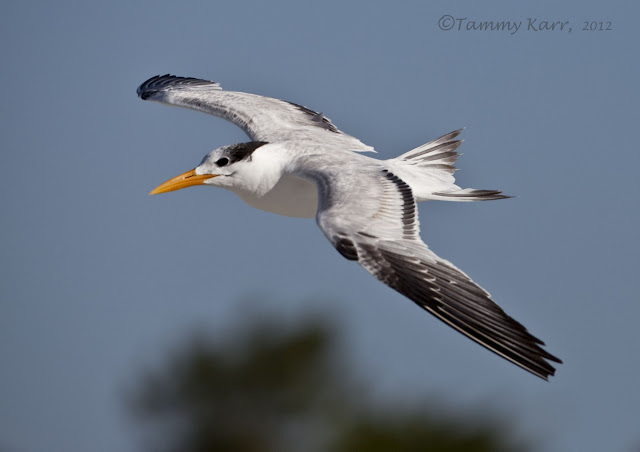 Royal Terns feed on mostly on small fish. Thank you Tim! I do appreciate all the sunny days we have have here! They are beautiful, my favourite is number 7, that one is superb. Hola Tammy, que preciosidad de blog y de fotos, un trabajo magnifico, te felicito y ya sabes que tienes otro seguidor más en el Sur de España. Un saludo. Great shots of a super bird Tammy. I've seen Royal Terns a few times while staying on the island of Tobago, also in the company of a flock of very vocal Laughing Gulls. Closest we have here in the UK are probably Sandwich Terns. Thanks Phil! Sandwich Terns look very similar; I haven't seen one here though. Thanks for visiting my blog. Great shots of some wonderful birds. I remember the first time I ever saw these "punk rock" birds when I visited my brother in fort Myers back in 2003. Nice to see some again! Thanks for your visit to my blog! Thank you Kathie! They do look like "punk rockers"! You have a great blog! Tammy, tus fotos son especiales: esa luz, esos encuadres, esa nitidez..